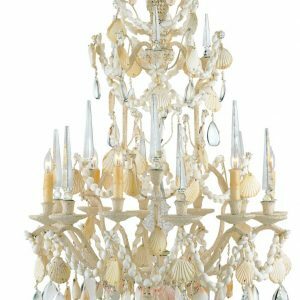 Clusters of tumbled Seaglass cast an enchanting glow. 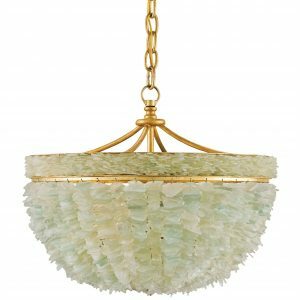 The misty aqua tones of the glass embellishments pair beautifully with the Contemporary Gold Leaf bowl-shaped frame. 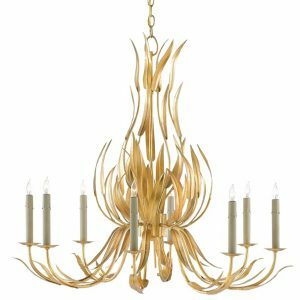 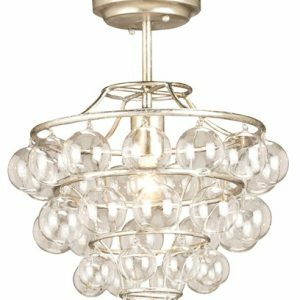 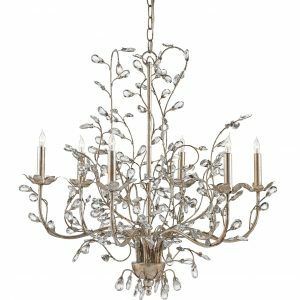 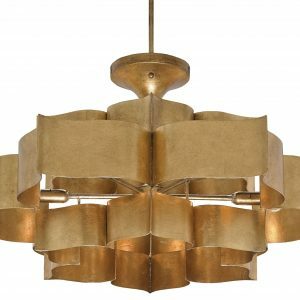 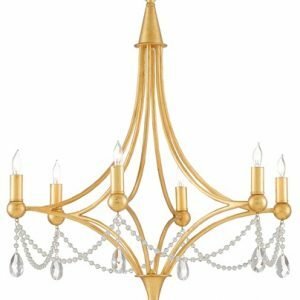 Chandelier has 3 lights, Maximum wattage 180, 60 watt each. 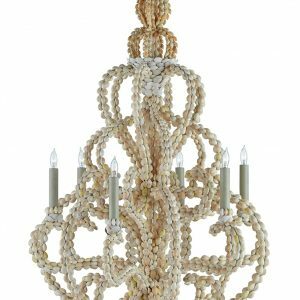 Chain length is 6 feet. 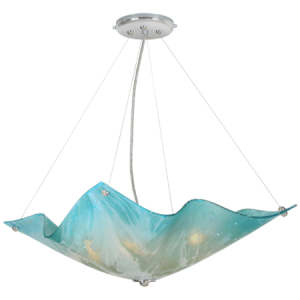 This Seaglass Pendant is notable for its carefully tumbled seaglass that comprises the aquamarine and seafoam decorative strand of the the body. 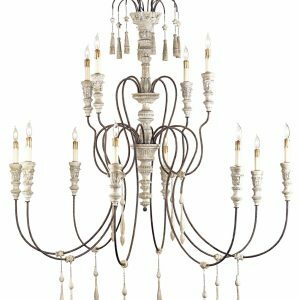 It is a three-tiered piece and also has a Silver Leaf wrought iron frame that adds shine and luxury. 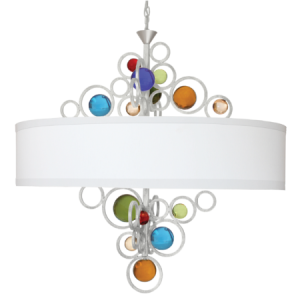 Pendant has 1 light, Maximum wattage 60. 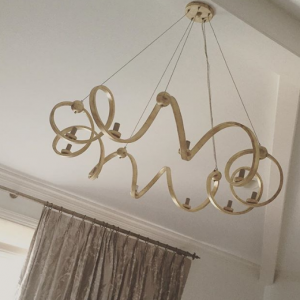 Chain length is 6 feet. 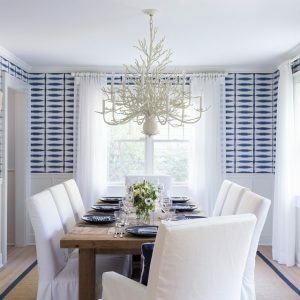 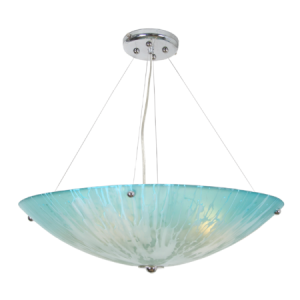 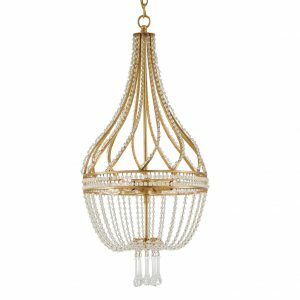 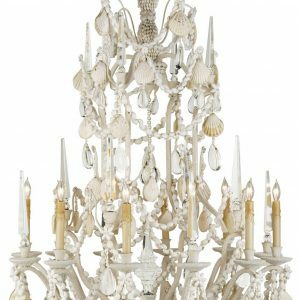 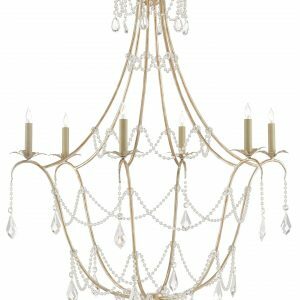 Bring the ocean to your home with this Seaward Chandelier. 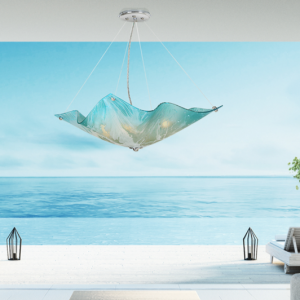 A masterfully executed tribute to the coast. 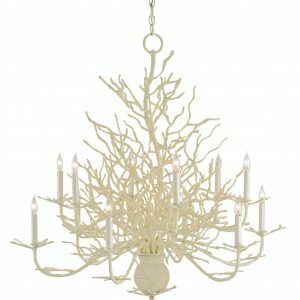 Wrought iron is beautifully sculpted to resemble white coral, then enhanced with a natural looking application sand. 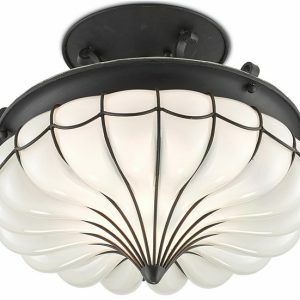 Perfect for any home with Coastal inspired home. 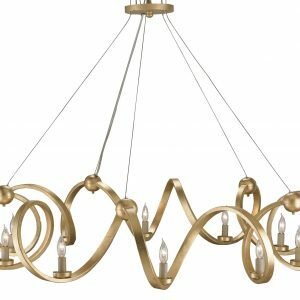 The wrought iron ribbons of the Lasso Chandelier twirl and dance their way into its distinctive asymmetrical shape. 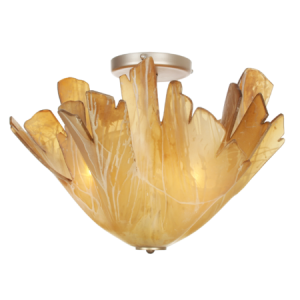 Six bulbs glow from within the piece’s form, which is finished in cool Silver Leaf. 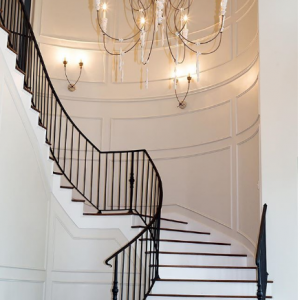 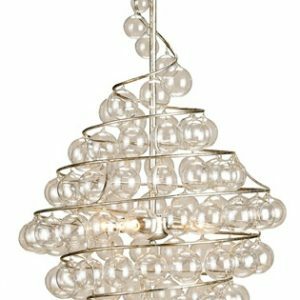 The curling curves in this chandelier create a pure and timeless vision. 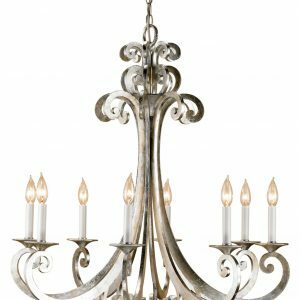 The hand forged wrought iron arms are given an updated contemporary silver leaf finish, lending this piece a refined modern look. 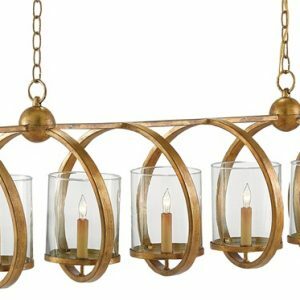 Has 8 lights. 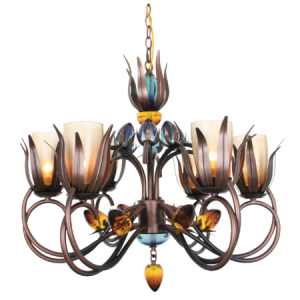 Maximum wattage is 480, 60 watts per light. 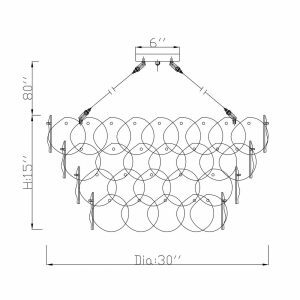 Chain length 6 feet. 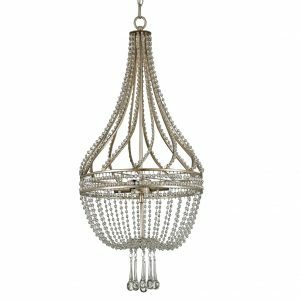 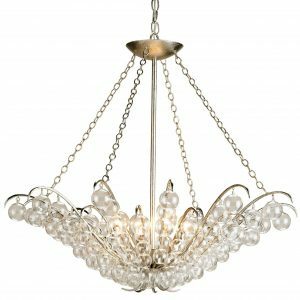 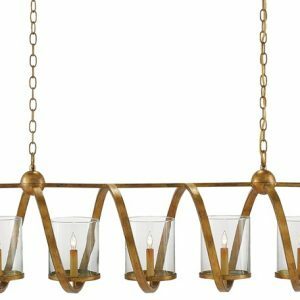 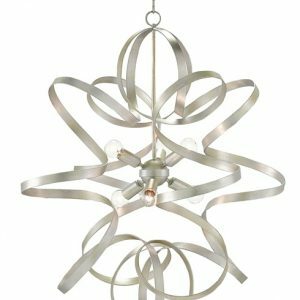 The flight spiraling design of this chandelier is given a delicate hand applied Contemporary Silver Leaf finish which compliments the lightness of the mouth-blown glass baubles adorning the piece beautifully. 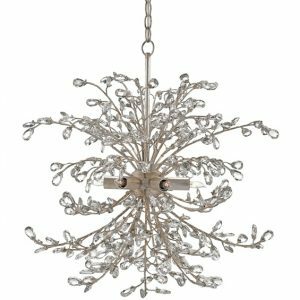 The Tiara Chandelier explodes into a globe-like wreath of interlacing crystal buds. 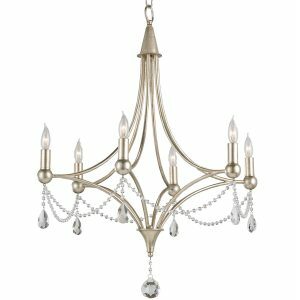 This sweet and picturesque style, complete with an antiqued Silver Granello finish, is a luxurious addition to a wide variety of interior styles. 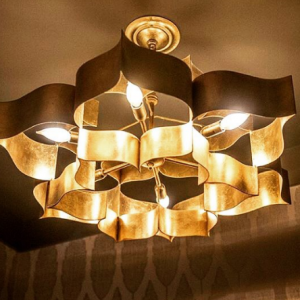 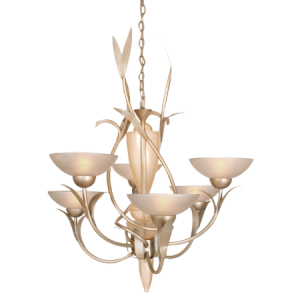 Chandelier has 6 lights, Maximum wattage 360, 60 watts per light. 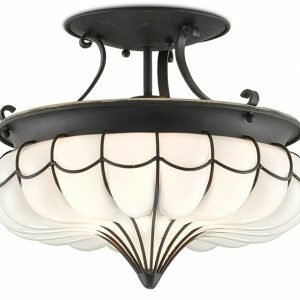 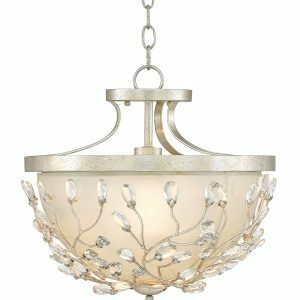 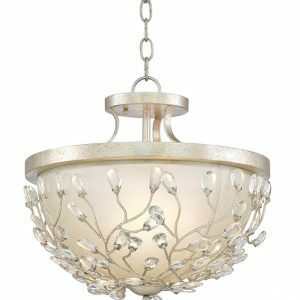 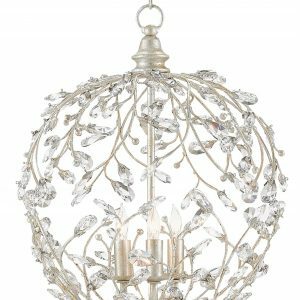 This beautiful champaign colored chandelier features a soft wandering leaf design. 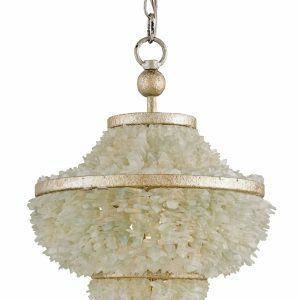 Has Silver Sand color shades (9″dia) and base is Autumn Wood Silver.